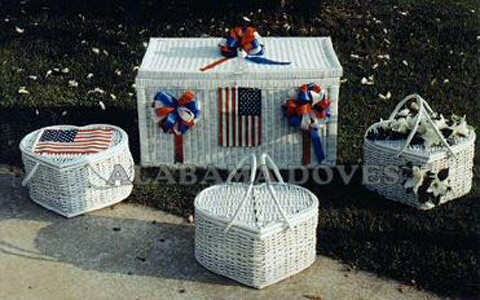 Our cages and baskets can be tastefully decorated to compliment your colors. 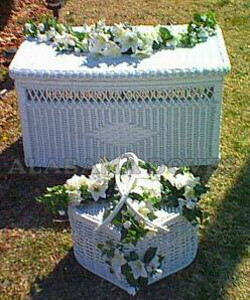 Our lovely Release Chapel is ideal for a graveside Funeral or Memorial Service. 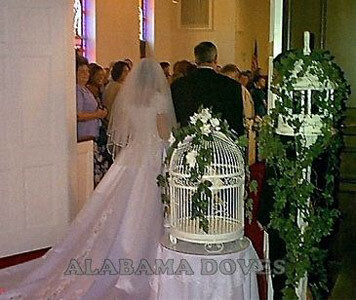 In addition to our Release Services, we offer decorative display cages for all occasions. 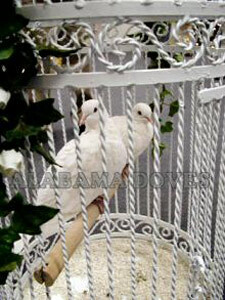 The smaller, snow-white, domestic doves will coo and laugh in their tastefully decorated cage. 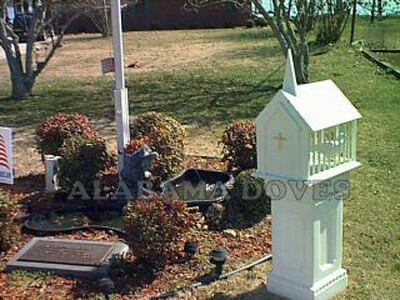 These doves are for display only as they possess no homing ability to allow their safe return home. They may be displayed indoors or outdoors and love to have their pictures taken.